Our "ultimate" CTO MacBook Air features upgrades to the CPU, RAM, and flash storage. As is customary with just about all Macs, Apple offers a small number of standard configuration systems that you can buy off the shelf (these are the systems Macworld uses for review), along with a handful of optional upgrades that—for a price—allow purchasers to customize their new Macs. The 2013 MacBook Air is no exception: Apple offers more RAM, higher capacity flash storage, and faster processors. Macworld Lab put together an “ultimate” configuration of the new MacBook Air, and the performance gains are so significant that our configure-to-order (CTO) MacBook Air competes well against Apple’s current $1699 13-inch Retina MacBook Pro. 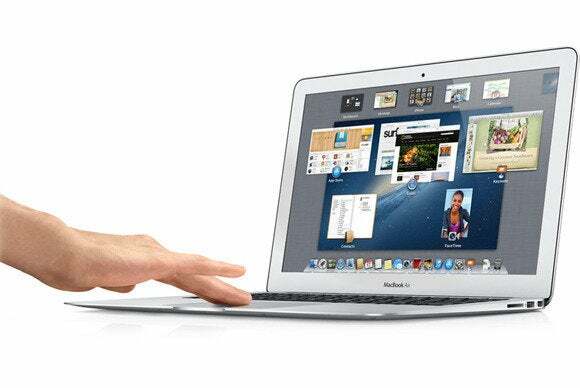 The standard configuration 2013 MacBook Air has 4GB of 1600MHz LPDDR3 RAM, a dual-core 1.3GHz Intel Core i5 (Haswell) processor that can reach speeds of 2.6GHz with Turbo Boost, and either 128GB ($999 for 11-inch, $1099 for 13-inch) or 256GB of flash storage ($1199 for 11-inch, $1299 for 13-inch). Doubling the RAM on the $1299 13-inch MacBook Air from 4GB to 8GB adds $100 to the base price, while increasing the capacity of the flash storage from 256GB to 512GB adds $300. Swapping out the standard 1.3GHz Core i5 processor (with 3MB of L3 cache) for a faster 1.7GHz Core i7 processor capable of reaching 3.3GHz with Turbo Boost (4MB of L3 cache) adds $150. Our ultimate CTO model puts all three options into a new 13-inch MacBook Air for a total of $1849. The 2013 CTO MacBook Air was 9 percent faster overall than last year’s ultimate CTO MacBook Air, which had a 2GHz dual-core Core i7 Ivy Bridge processor, 500GB of flash storage, and 8GB of memory. Many of the tests were very close, with eight of the 15 individual test results showing less than 5 percent difference in performance. iMovie export was considerably faster on the older 2GHz model. The new CTO Air’s Intel HD Graphics 5000 was 24 percent faster than the older CTO Air’s HD Graphics 4000 in Cinebench’s OpenGL test, and 18 percent faster in our Portal 2 tests. The faster flash storage in the new laptop helped it copy our 6GB of files and folders 31 percent faster than last year’s ultimate CTO MacBook Air. 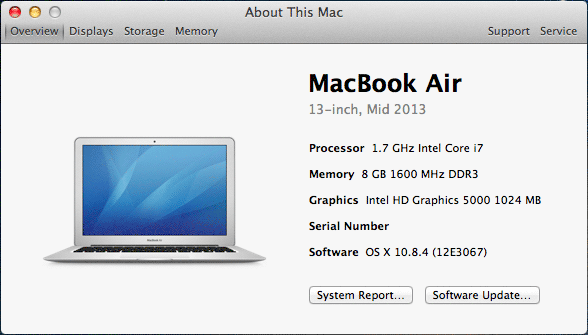 The new CTO MacBook Air was 8 percent faster overall than the $1699 13-inch 2.6GHz Core i5 (Ivy Bridge) Retina MacBook Pro. Eight of the individual performance tests showed less than a 5 percent difference between the 13-inch Retina MacBook Pro and the new CTO Air. The Retina MacBook Pro was able to hold its own in two tests: it was 27 percent faster in the iMovie export, and 13 percent faster in Handbrake. The CTO Air, with its Intel HD Graphics 5000, was 49 percent faster in the OpenGL tests and 23 percent faster in Portal 2 than the Ivy Bridge-powered Retina MacBook Pro and its HD Graphics 4000. The CTO Air was also 39 percent faster in the files and folder copy test. Results are in seconds. Shorter/smaller results are better.Reference models in italics. Results are in fps. Longer/bigger results are better. Reference models in italics. Check back soon for MacBook Air battery life results.